Click on any photo to see additional information on that item. Hovering your cursor over a photo pauses the presentation. Since its release in mid-November 2016, PolitiCraft decks have been shipped all over the United States. 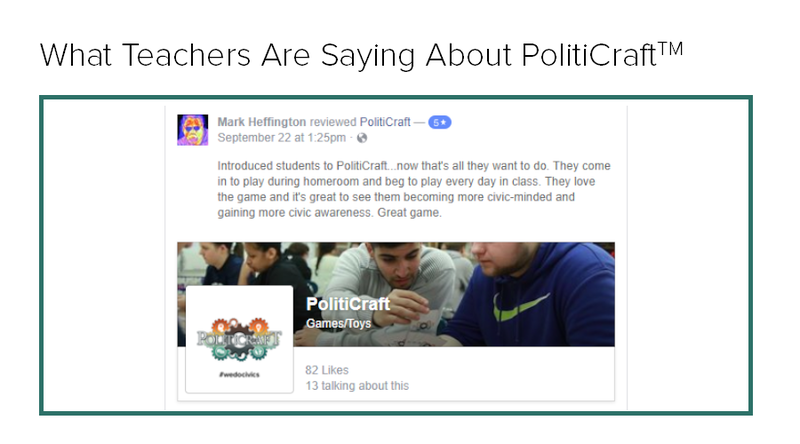 Order today to join the PolitiCraft movement!